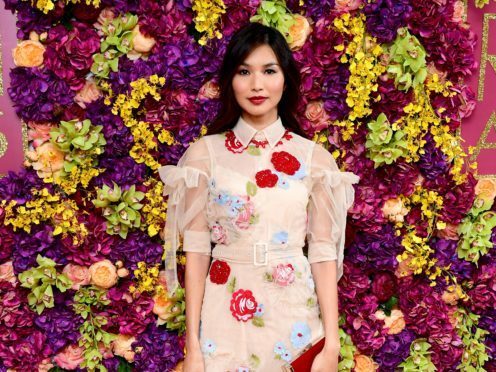 Crazy Rich Asians star Gemma Chan has said the British affection for period dramas has limited the opportunities for actors from diverse backgrounds. The actress, who is best known for her role in Channel 4 drama Humans, said the dominance of lavish costume dramas have given audiences a skewed view of their country’s history. She told the Press Association: “I think for a long time a lot of the UK’s output was period film and that is a particular thing, or used to be a particular thing in the past. She added: “I think it’s an interesting thing, period dramas, in that we have an idea that we have got from other films, that have been made previously, of what the past was like – which isn’t necessarily accurate. “I find that really interesting, the idea of what were the demographics of the country. Actually people of colour didn’t show up in the UK like 50 years ago, they have been here for a long time. Chan said she hopes the success of Crazy Rich Asians, which is the first Hollywood film in 25 years with a majority Asian-American cast and has already made more than $160 million before it is released in the UK, will counteract some of the defences used after a number of “white washing” casting controversies. Third weekend at No. 1 and best Labor Day weekend in a decade. There was uproar after Scarlett Johansson was cast as cyborg soldier Mira Killian/Major Kusanagi in Ghost In The Shell – a role originally written as east Asian, and Emma Stone faced backlash for her role as Allison Ng in Aloha, who is stated as having a father of half-Chinese and half-Native Hawaiian descent. Meanwhile, Tilda Swinton was cast as The Ancient One in Doctor Strange, who is described in the comic books as hailing from the fictional Himalayan kingdom of Kamar-Taj. She said: “I think we are disproving a lot of so-called received wisdoms in Hollywood. “For example, if you have non-white leads that the film won’t sell abroad or that it won’t do well enough at the box office or that the audience will be a niche audience. “We have just shown that it’s nonsense and in fact if your film is good, if your material and your script is great, you don’t even have to have crazy huge stars necessarily. Crazy Rich Asians is released in UK cinemas on September 14.